This is a 1981 ad for a TDK Cassette Tapes with Stevie Wonder! The size of the ad is approximately 5x11inches. The caption for this ad is 'Before TDK picked me, I picked them' The ad is in great condition. This vintage ad would look great framed and displayed! Add it to your collection today! 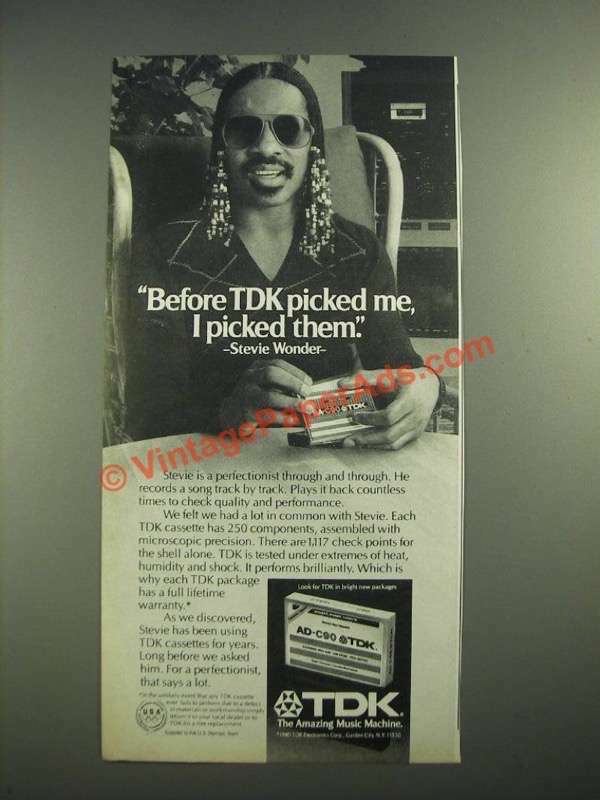 1982 TDK Tape Ad w/ Stevie Wonder, Playback is Encore! !